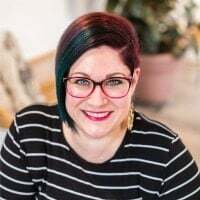 These desserts are easy to make, delicious, and easy to eat; I love anything bite sized that can be eaten with one hand (I’m sure my fellow moms are with me on that). 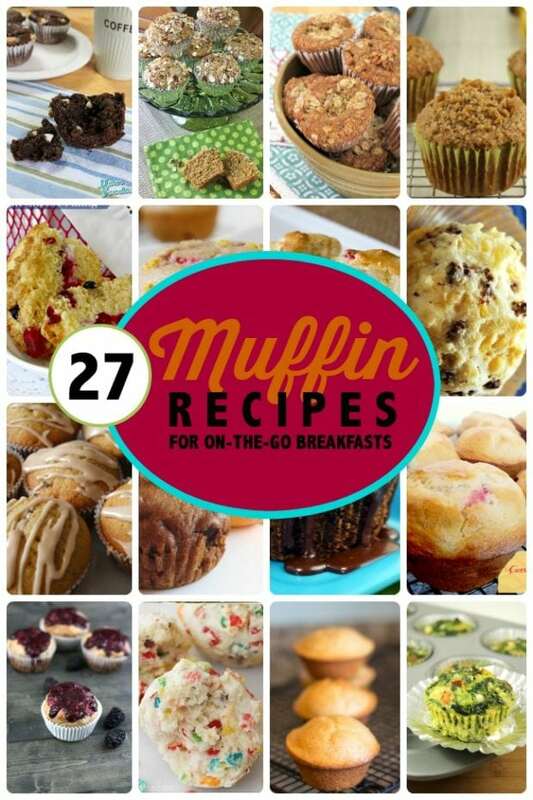 Change up the boring breakfast routine with 27 Unique Muffin Recipes that will be sure to please everyone. Easy S’mores Muffin Recipe you can bake with your Kids are the perfect way to start your morning off right. This dessert list includes these yummy recipes: Mini Apple Pies, Reese’s Peanut Butter Cookie Bites, Fruit Pizza Cookies, Sweet Mini Monkey Rolls, Chocolate Chip Lava Cookies, White Chocolate Cashew Berry Cups, Muffin Tin Pumpkin Pies, Mini Cherry Pies, Ice Cream Sundaes in Oatmeal Cookie Cups, Cannoli Bites, S’more Cookies, S’mores Muffins, Peanut Butter Cup Cookies, Oreo Turtle Cheesecake, S’mores Cheesecake, Pineapple Upside Down Cupcakes, and Donut Muffins. These adorable mini apple pies are a quick, easy, and personalized way to serve up apple pie. These amazingly-fun Reese’s peanut butter bites are made by creating a delicious sugar cookie crust and filling it with the chocolate peanut butter goodness that we all know and love. The cookie exterior is shaped into a perfect little cup. You won’t be able to just have one. 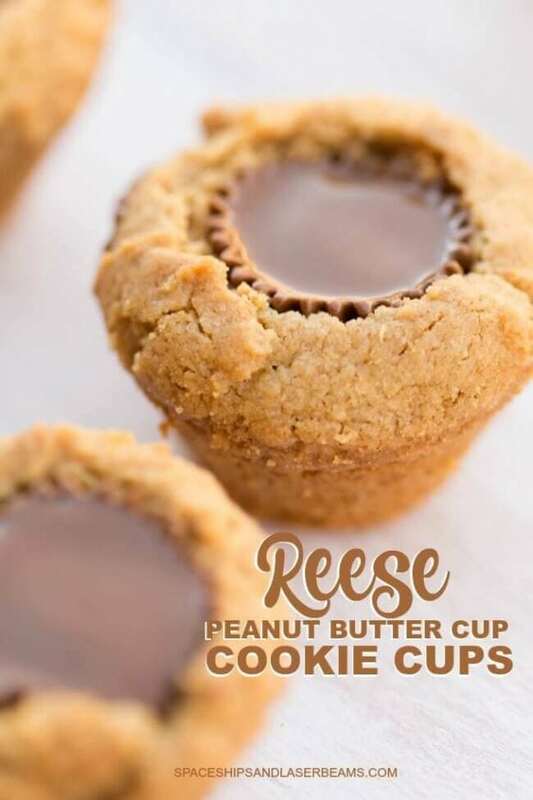 Or click here for our version of Reese’s Peanut Butter Cookie Cups! These fruit pizza cupcakes are made by baking sugar cookie dough over an upside down cupcake pan, to create delicious bowl shapes. Then, they are filled with some icing and fresh colorful fruits to create the cutest personal pizza cupcakes! I love that you can have your kids create different toppings for their pizza cupcakes! Monkey Rolls are one of my favorite desserts. These mini monkey rolls are made using dinner rolls, butter, and homemade cinnamon sugar. Then, they are slow-baked to flaky sugary-goodness. Making them personal sized will definitely help me portion how many I eat, even though they’ll all be gone. Decadent chocolate lava cakes are turned into cookies with this fun and delicious recipe. I love topping these with some fresh vanilla ice cream. All you really need for these are chocolate chips and cookie dough, so I know you’ll be making them more than once. These chocolate berry cups sound like a fresh and delicious dessert! Also, surprisingly easy to make. These can be made ahead and frozen until you are ready to serve them, which will save you a lot of time if you have a big dinner planned. Making pumpkin pie is a staple of many holiday dinners. With these personal-sized pumpkin pies, no one will be fighting over the last bite of pie. These also make a great dessert dish for an appetizer party or potluck. The pie is made using store bought pie crust which takes a lot of the work out of making homemade pie crust. Like the pumpkin pie above, creating personal pies is all of the craze right now! I would have so much fun creating fun little designs with the top of these pies, it’s like the perfect practice at making awesome pie designs. Cherry pie is definitely a dessert staple around here, and these could not be easier! The fruit counts as healthy, right? These elegant looking sundaes are such a fun idea! They remind me of Turtles chocolates, with added deliciousness. My kids would love adding their own toppings to these sundaes, then eating the whole thing, cookie bowl and all. These cannoli bites put such a fun spin on classic cannolis! They don’t require any deep frying either, which my waistline will definitely appreciate. I love the idea to add different toppings to each one with melted chocolate, they look just like real cannolis. There’s something about cannoli filling that just speaks to me on a spiritual level. 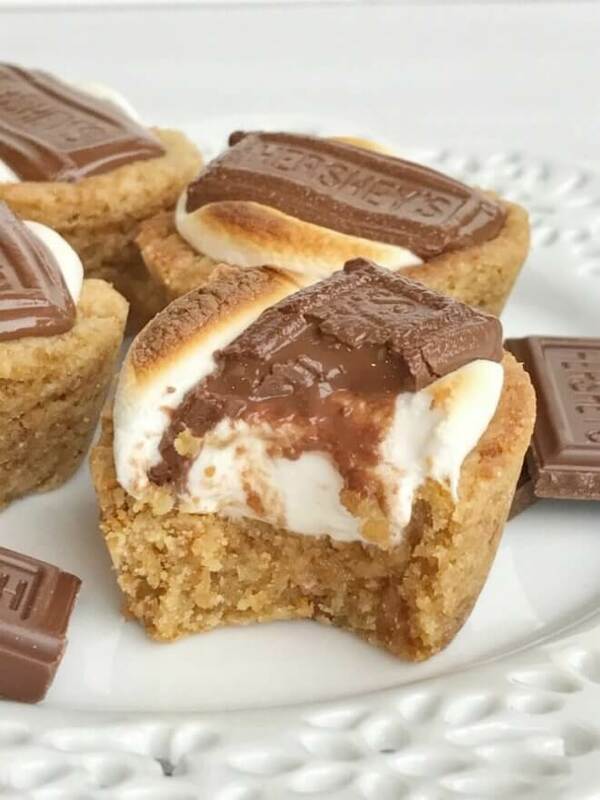 These s’mores cookie cups are delicious! With a graham cracker cookie crust, toasted marshmallow, and topped with chocolate, you can bring the outdoors in, and bake these up all year long. This awesome recipe was specifically made to bake with your kids, which is always a family favorite pastime around here. These s’mores cookies are made with a delicious chocolate chip muffin recipe, marshmallows, and a graham cracker topping. The marshmallow disappears during baking which the kids will think is so cool! It is hard to resist waiting for these bad boys to cool before you dive in! These cookies once baked are light, flaky, and delicious. They are then stuffed with a delicious peanut butter cup to finish them off. This recipe has a high yield, which makes it perfect for giving away at a cookie exchange, or like me, enjoying by yourself! These oreo turtle cheesecakes are SO decadent. Cheesecake, caramel, oreos, chocolate, and caramel? They contain all of my favorite ingredients. These make a great party dessert, or a great dish to bring with you to your next potluck dinner. I will definitely be making these again. These mini s’mores cheesecakes taste absolutely amazing! This recipe will yield you about a dozen mini cheesecakes, which our family can usually polish off, they’re that good. I love making these s’mores cheesecakes with my kids before company comes over. The mini marshmallows, graham wafer crumbs and melted chocolate on top of these really pull all of the s’mores flavor together. Pineapple upside down cake can be a daunting task, but these pineapple upside down cupcakes are the perfect answer. They taste just like the original and are easily made in a muffin tin to save you all of the hassle. My whole family wanted to devour these before our guests even arrived. Who says donuts have to be hard to make? 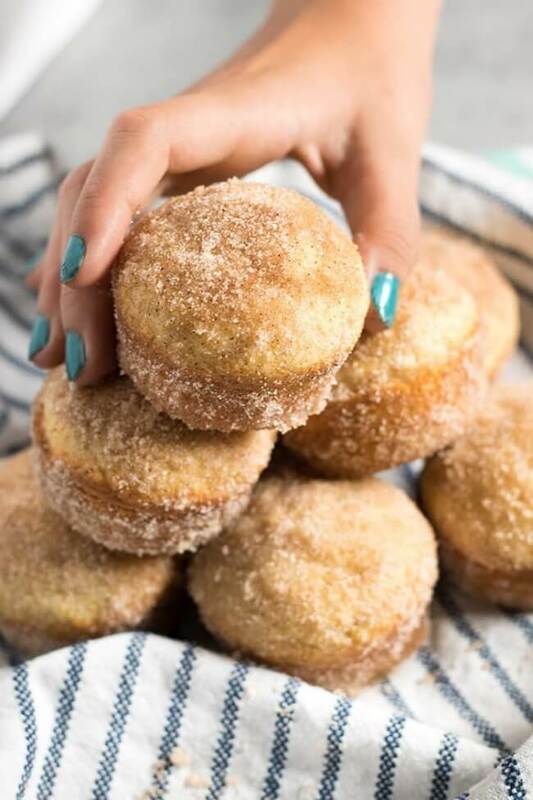 This easy recipe for cinnamon sugar muffins will taste like a traditional donut. They bake up in no time and are perfect for breakfast, or anytime really. Check out these great recipes for more mouth watering dessert ideas.